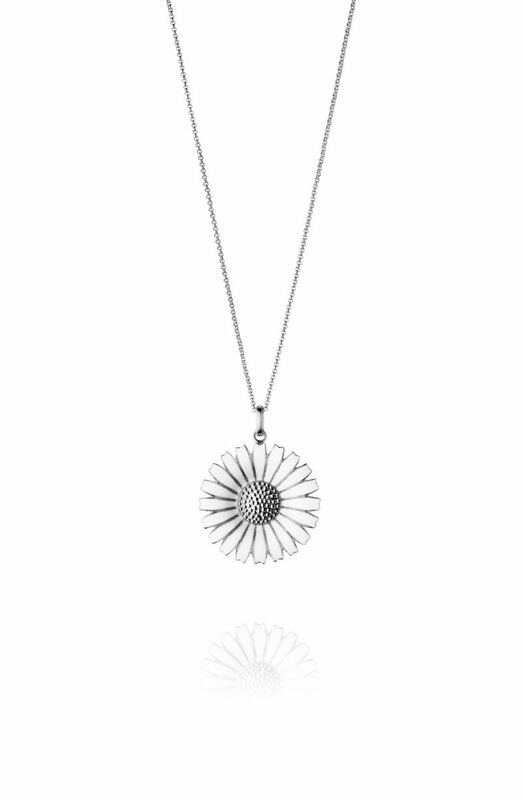 The Daisy bracelet features five handcrafted reversible daisy flowers in sterling silver and white enamel to pick out its intricate details. 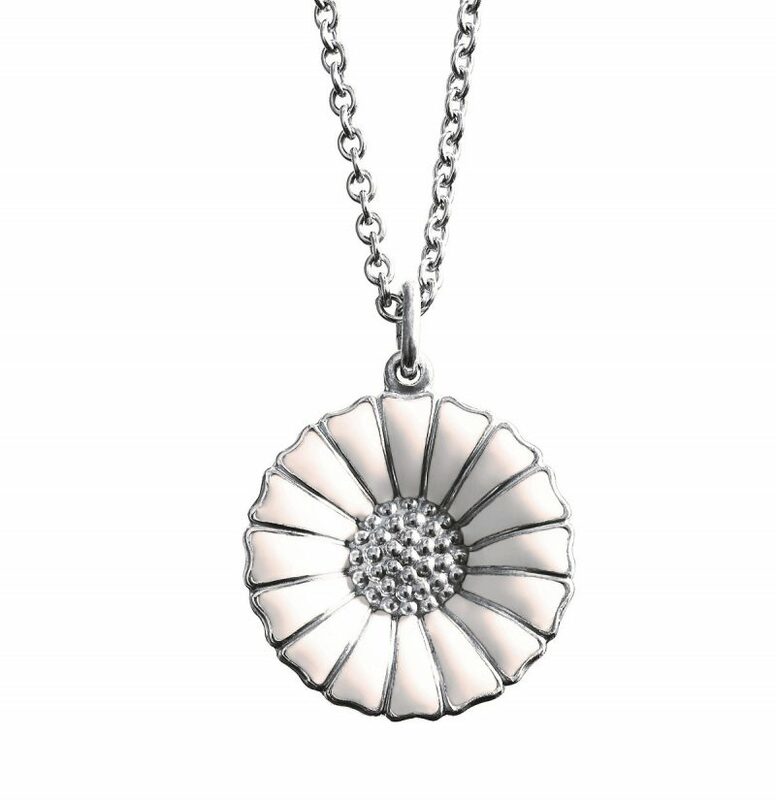 It is a playful and universal piece, like the spirited little bloom that inspired the design. 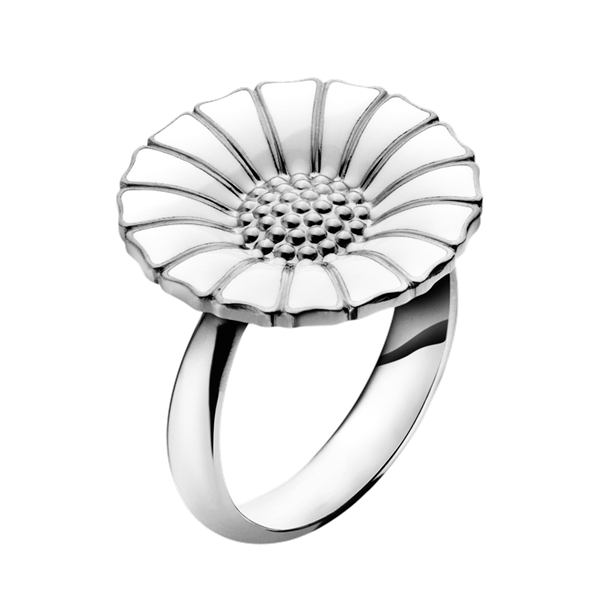 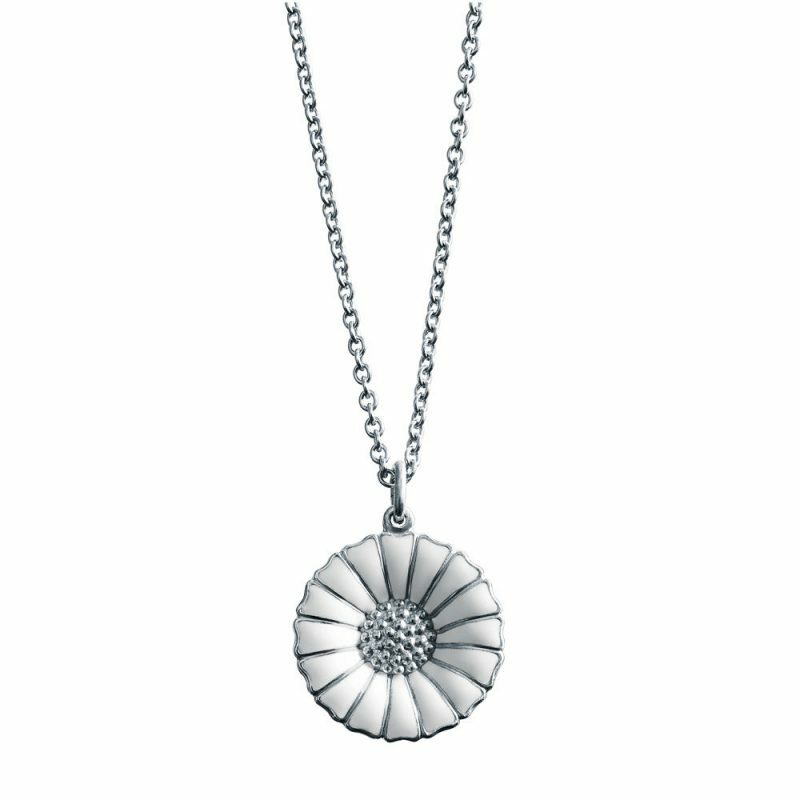 The original Georg Jensen DAISY was created in 1940 to celebrate the birth of the Danish princess. 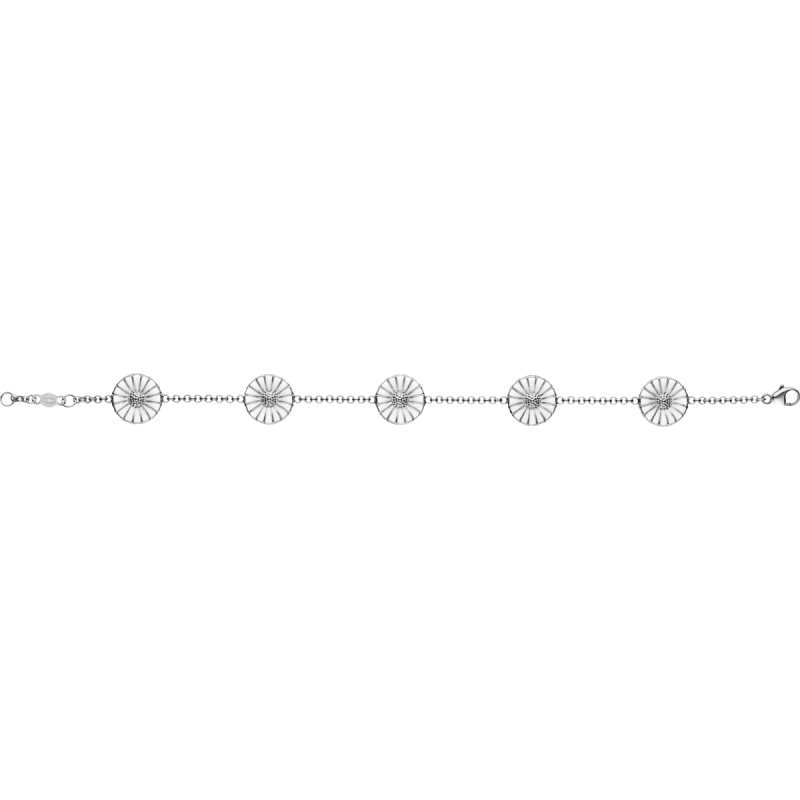 In 2008, the line was launched around the world and its appeal to fashionistas in any country was confirmed.